The role of the library? Padua College is a multi-campus Catholic co-educational secondary college situated on the Mornington Peninsula in Victoria, incorporating three library resource centres. The primary role of all libraries is to support the information and Curriculum needs of the College community, and foster a lifelong love of reading and learning through innovative programs and activities designed for all Years 7 – 10 students. Teacher librarians support both students and teachers in developing information and digital fluency skills as part of the curriculum, and work closely with Information Technology staff to encourage awareness of cyber safety, and implement social media and copyright school policies. 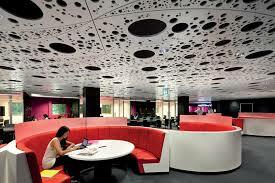 To this effect, each library has an open-plan environment with designated senior and junior areas for wide reading and individual researching work, together with Seminar Rooms and Curriculum Learning Areas available for whole class research activities or teaching programs. Besides providing opportunities and areas for research and teaching however, another important role of each Padua College library is to provide the opportunity for students to meet and socialise in a warm, inviting, comfortable environment, where they can read and borrow books or magazines, access technology, play board games (chess) or socialise within an informal atmosphere. These occasions were significant opportunities to interact with the students in an informal setting and encouraged establishing student/ staff relationships as an extension of Homeroom and Pastoral Care. Carefully arranged displays/exhibitions throughout the library area celebrating students’ achievements, also encourage a sense of community engagement and creativity, which appeal to a student’s feelings of inclusiveness and belonging, a very important holistic school library role in the 21st century. 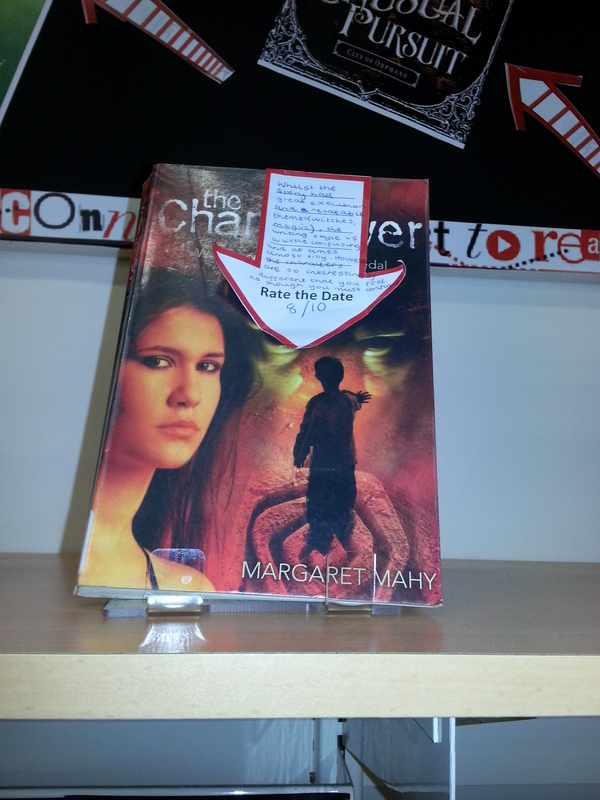 What does the Library Collection comprise of? The Padua College Library Collection is managed through the Mornington campus Library and comprises of an extensive range of fiction books in a variety of themes, genres and formats, such as Dystopian fiction, Manga and Anime, graphic novels, picture books, audio books. An e-Book library is easily accessed through the school Intranet by students and parents on all campuses and is steadily becoming more popular due to its easy access and availability. Non-fiction texts were weeded heavily two years ago resulting in twenty thousand out-dated books removed from the collection and replaced by online information databases. Currently there is a small non-fiction hardcopy collection in the library which is weeded during stocktake every year and continually updated. New items are purchased specifically for curriculum use or high interest books requested by students, such as sports, hobbies etc. As both Tyabb and Rosebud are junior campuses (Years 7-10) where students predominantly use iPad mobile devices to access information and for research, there are very few non-fiction books available in either library. The collection also comprises of subscription based items such as magazines and newspapers in hard copy and digital format, e-journals and audio-books, together with DVDs and audio visual equipment such as cameras, tripods, projectors and screens. Headsets and audio recording equipment to pre-record programs or podcasts from television, radio or YouTube onto the Clickview Database for easier access by teachers and students, are heavily utilised items of the Library Collection too as 21st century digital technology is transferred into the school curriculum context. How is the library staffed? 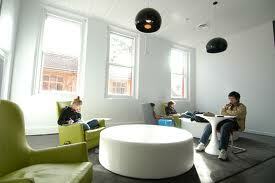 Padua College has three campuses each with its own library that is linked to one management system at Mornington. There is a Head of Library Services who oversees all three resource centres and works collaboratively with the Principal and Department Heads to plan for future development and growth of the Tyabb and Rosebud campus libraries. She is responsible for the smooth operation of an inter-campus loan service which is an invaluable link between the three libraries, and makes all decisions relating to the daily management of the College Library Collection. In her role as Teacher Librarian she also teaches Research Skills and Information Literacy to junior students in Years 7-10, and Website Evaluation Skills to senior students. Teacher Librarian’s at each campus are responsible for the cataloguing of all items in the library, and the non-fiction collection at Mornington. The Librarian’s responsibilities at Mornington include coordinating the library assistants and the library information/service counter, together with assisting the Teacher Librarian with the LibGuides development of a school web resource database for students and staff to access. The three Library technicians are responsible for the loaning of the Audio and Digital Equipment besides the DVDs and audio books. The Mornington Library Technician’s role also includes pre-recording media programs and podcasts for teaching staff to utilise, and liaisons with heads of departments to compile a data file of all relevant DVDS in the Clickview data base, which she also manages. As Mornington Library is the largest of the three, there are three library assistants to assist with the general library duties and student information queries. How is the library managed? Prior to April 2014 the Padua College Library used the Bibliotech Library software as its management system but found that it was too slow and unreliable to keep up with 21st century technology and education initiatives, in particular the development of whole- school iPad technology. The Head of Library Services, Principal and Senior staff decided to upgrade the library management system and researched suitable replacements. They decided to purchase outright the New Zealand based Access-It and just pay a yearly maintenance fee. Access-It had good reviews from several schools, libraries and tertiary institutions on how well the management system operated and it was also conducive to the Wheelers Online store Ebook Library the college had chosen as the best option for the school library collection. The company held several Professional Development training days for all library staff and they found the system was very user friendly, easy to operate, low maintenance and with good backup and service. The system is more comprehensive in regard to reports and data and is connected to Administration and the school Intranet for access to data and information. It has 100% usage since implementation and is considered by library staff to be a reliable and proficient means of managing all aspects of library services over the three campuses. Library staffs maintain ongoing weeding and extracting in all areas of the library collection and are constantly reassessing services in order to effectively meet the constantly changing needs of the school community due to changing educational and technology trends. As Padua College is multi-campus, progressive management and strategic planning is essential to how effective the three resource centres meet the needs of its users at all levels of the school communities. Mornington Resource Centre is central to the successful organisation and management of all three libraries, and provides fundamental library services such as the loaning of fiction and non-fiction texts, a comprehensive DVD collection, a reference section, computers for research and private study, and photocopying and printing, for daily use by the school community. The Audio and Digital department plays an invaluable role in providing and lending equipment, audio books and DVDs to both staff and students as part of the schools curricular activities such as Musical Performance Concerts and VCE assessment activities. Displays and exhibitions within the library not only celebrate the students work but the library’s close connection to the curricular context of the school as a partnership rather than an isolated entity. Five year plans for the Tyabb and Rosebud campuses are initiatives specifically orientated towards building fiction collections for wide reading purposes, and open-plan environments designed to provide Teaching/Learning Areas, together with computer technology for curriculum use and individual research or study. Both students and staff access non-fiction resources by utilising iPad technology, with requests for non-fiction texts is through the inter-campus loan system which gives extensive access to resources for users from the Mornington collection. This system has proved to be both practical and efficient, with success attributed to careful planning and constructive liaison with Heads of Department and teaching staff. Efficient utilisation of space is particularly effective in the Mornington Resource Centre which contains extensive student areas for wide reading, two Seminar rooms, and Senior and Junior Teaching/Learning Areas reserved directly by staff through the library management system. With the introduction of iPad technology and the school’s intranet, parents and students at home and at school have easy access to the library’s extensive eBook collection, and have been very effective in encouraging wide reading. 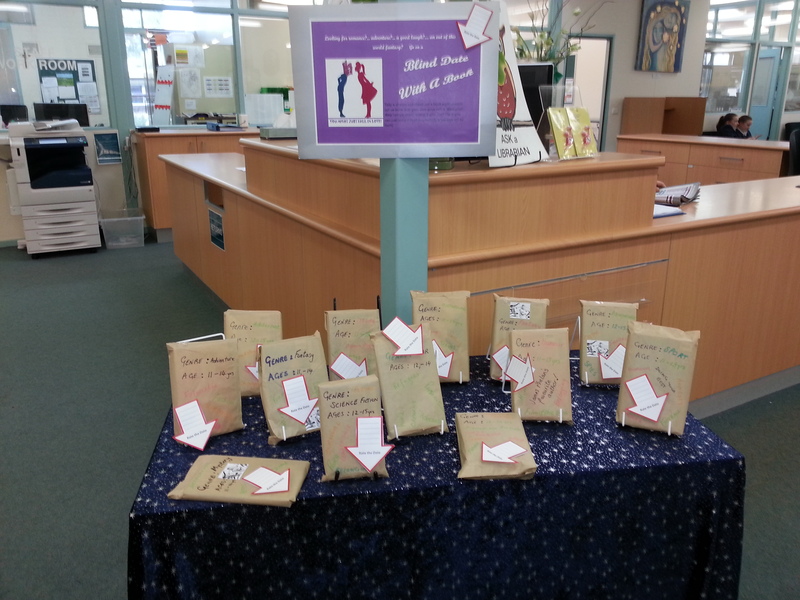 Literature Club activities, under the direction of a teacher-librarian, reinforce a love of reading and developed mentor programs with senior students assisting junior students in creative writing, and organising Author visits, such as James Phelan. The library’s most effective and successful initiatives for staff to utilise have been the introductions of the Clickview database and LibGuides Community Site. Clickview enables teaching staff to easily access the entire DVD collection through a video file on the library’s management system which is also conducive with the student’s iPad technology, ensuring fast and concise access to resources. 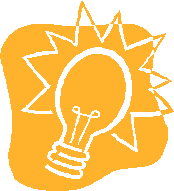 LibGuides is a Web Publishing Platform for libraries to create web resource guides or pathfinders for staff and students to utilise, by searching the community’s site to source web resources and liaison with department heads to develop a comprehensive curriculum resource compilation. However, both acquisitions are subscription based, which is a significant expense for the library budget and have to be constantly monitored to remain cost effective. Library staff are prepared to be flexible to change and constantly evolving technology in regard to effectively meeting the school community’s information needs. On my placement I felt a great sense of achievement after I had mastered the daily routine of the library assistants when manning the service counter to assist students in borrowing, renewing, or returning books, learning simple aspects such as sensitising/desensitising books for security purposes, shelf reading (putting books in their correct order), the Dewey system of classification for the non-fiction collection, assisting students with photocopying using different types of materials such as transparencies etc, and stamping and covering new books. As a teacher librarian research skills are taught to Year 7-10 students in collaboration with teaching staff and I was fortunate to observe one class and teach another class for year 7 students. I followed a prepared PowerPoint Presentation but was able to competently answer questions and demonstrate skills to the students who were able to follow my instructions and understood the process. I felt it was a successful lesson after feedback from several students, and I enjoyed the experience and felt more confident to teach information researching as a future Teacher Librarian. 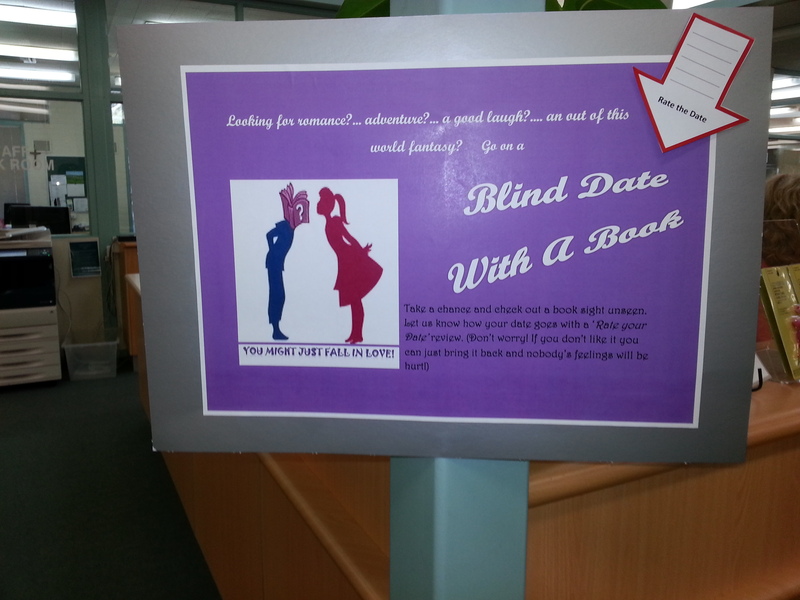 I was given the challenge of creating a display to connect students to reading and after researching various activities I decided on a fun activity called ‘A Blind Date with a Book’ which involved covering selected wide reading books so students would have to read the book sight unseen, without being influenced by the front cover or blurb on the back. 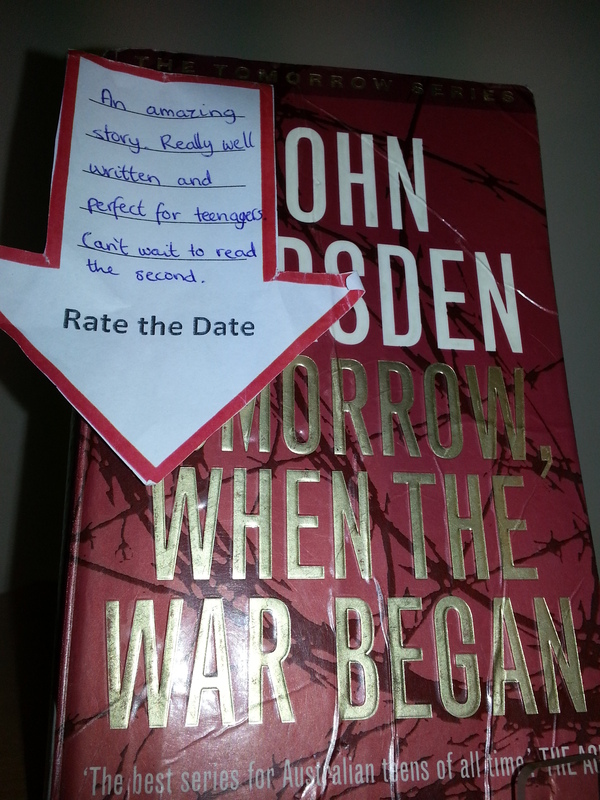 They were asked to read the book and briefly review it on a ‘Rate the Date’ form attached to the book. I advertised the activity through the school intranet in the Student Bulletin, in the School Newsletter, and Daily Notes of the teaching staff, especially the English Department. The Head Librarian wasn’t very confident the promotion would work well in a co-education school context but to her surprise (and my relief!) the teachers encouraged student participation and included the reviews in their literature lessons, and all books were borrowed by the students. The majority of reviews were positive and several students admitted they wouldn’t have usually read a particular genre but enjoyed the book, which was the sole intention of the exercise, so I was really pleased with the experience and it has given me ideas for future projects! My final activity was the most enjoyable, and it involved travelling with the famous author James Phelen of the ‘Chasers’ series for teenage boys, to presentations for years 7 and 8 students at all three campuses. James was an engaging speaker who interacted well with the students, who gained many insights into his struggle to be accepted as a writer and have his work published, and also how his characters were based on his four brothers, which intrigued and delighted the students. It was an interesting experience and gave me the opportunity to learn how to organise visits from authors and the value of these visits to the students. During my placement at the Padua College Library at the Mornington campus I gained invaluable insight into the management of a school library on a daily basis and how important an efficient and well resourced information centre was to the teaching and learning school community over three campuses. This became more evident over the two weeks I worked in all three college libraries and came to recognise how hard library staff worked and how much students relied on their knowledge and expertise in searching for information from both print and digital sources, and teachers with research and resourcing. The main value of this experience for me was the opportunity to put into practice the knowledge and theory I had learned from my first year Teacher Librarian course, and really understand the nature of the role of the teacher librarian as part of the information world of a school library in the 21st century. As a teacher with no library experience I had struggled to understand the theoretical concepts, terms and technology skills required for this position, but as a hands-on learner I was able to transfer this knowledge into a practical environment and gain more self-confidence in my ability to perform the tasks and responsibilities required in the role of a teacher librarian, and will only continue to add to these skills as I gain further experience. Thus, as a student myself, this experience has enabled me to empathise with students who find it difficult to pick up new skills and understandings, and will enable me to structure my information literacy and research skills lessons to accommodate all learning levels and skills development. Working in the library I now understand the value of the Library Collection and how important it is to have a clear understanding of how it meets the curriculum and information needs of students and staff within a school context. Also, how a warm and inviting library environment creates a sense of community and belonging for students, where they can engage with technology when researching or studying, utilise the extensive range of wide reading genres or eBook library, relax with a magazine or newspaper, or just interact socially. I think most of all I enjoyed working collaboratively with staff to research and source resources for their curriculum programs and as part of the LibGuides development. Being a teacher helps me to recognise and appreciate the value of how creative many different ideas can be, and how satisfying and successful outcomes can be from teamwork and collaboration within any library context. After my placement experience I am now far more familiar with the skills and knowledge required to be a teacher librarian and will only add to this experience in the future. I have thoroughly enjoyed all of my Study Visits, especially the smaller specialised libraries where it was easier to experience how library staff manage and coordinate their specific area of information and research. All the libraries I visited had one thing in common; their role had changed through the use of electronic technology from library curators to information and research facilities, in keeping with 21st century digital technology. This knowledge reinforced my learning from my university course. I also recognised how several common themes emerged throughout the visits and identified with those similar to the school library I hope to work in as a Teacher Librarian. Lack of space was a consistent problem for all of the libraries, and all have utilised off-site storage facilities and Archives Repositories to address this issue. With policies of only one hard and digital copy of printed items in the collection, any additional materials needed to be stored too. However, the smaller specialised libraries found their members were resistant to electronic technology and preferred hard copies of books and printed material to digital copies, which is the opposite to schools and Melbourne University where electronic books and resources are popular and there is a trend towards digital resources. Several libraries have also replaced the Dewey catalogue system with databases and publishers supply books ready to be shelved, which is less time-consuming and a more efficient management procedure. Funding and budgets are another important factor to all of the libraries whatever the size or category, as they affected the capability to purchase items or pay for technology, online subscriptions or licenses, wages, expansion and public or community engagement. This was evident with the Shaw Library and Discovery Centre where their internal data systems desperately needed to be upgraded but no funding was available. Community and public access and engagement was another priority for the libraries I visited, even the Parliament Library, and the utilisation of space through storing items is creatively used to encourage public use of the library facilities and technologies. This factor is so necessary for libraries to survive in the 21st century, especially as information and research facilities using electronic technology. The City Library is a perfect example of a library adapting to change in our digital world and I greatly appreciated the opportunity to learn and experience from all of the libraries in my Study Visits. As I hadn’t visited the State Library before, I appreciated the opportunity to explore the impressive library setting and historical content, and particularly how the collection was developed by Sir Edmund Barry in the 1850’s to serve the people of Victoria and to remain for posterity. Unfortunately, like most libraries, problems with space and storage are issues associated with the collecting, and the library always holds both hard and digital copies of each item and out sources any surplus materials to storage or the National Archives. I found it particularly interesting to note the library had abandoned using the Dewey system of cataloguing, considering it too time consuming and replaced it by using publishers to catalogue print materials and databases to record and manage the collection. I enjoyed the historical aspect of the State Library and the opportunity to collect information on the collection management and funding but the actual tour was too short and I would have appreciated having more time to actually look at the items and how the library was organised. I felt the librarian’s information about collection management was aimed at a presumed level of technical understanding of the databases used that I unfortunately didn’t have and I eventually lost interest and became bored. 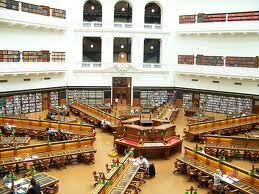 I would suggest further visits concentrate on a good balance between information sessions and the actual library tour. 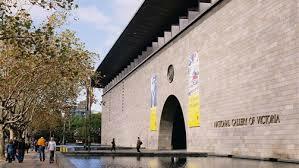 I really enjoyed the rare opportunity to visit the Shaw Research Library at the NGV, where access to the specialised collection and online catalogue is reserved for use by NGV staff, curators, and non-academic researchers only. The small library staff were welcoming and informative in regard to the extensive collection of approximately 60,000 items, serials, auction catalogues and Ephemera Files, an unfamiliar term which means the unique and valuable library items (prints, photographs, rare texts). Lack of space and limited room to expand, was emphasised as a major factor in the use of compactors instead of shelves, and off-site storage facilities are used for Archives or additional materials. 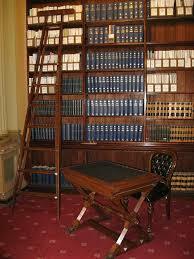 I considered this an efficient, versatile, and practical utilisation of space in regards to the library’s location. However, three separate databases are used by library staff to manage the library rather than one integrated Management System and an upgrade would be more efficient and productive. Overall, an interesting and enjoyable visit, and one I would recommend for future visits. I rated it 5/5 because it was a totally different experience to the larger State and City Libraries, as a specialised collection primarily for research, and requiring a different environment and management approach. The library staff were friendly, welcoming, informative, and encouraged our questions at all times throughout the visit. Highly recommended for future Study Visits. Melbourne University was a totally difference experience after visiting the huge public State Library and the small, specialised Shaw Research Library. There was a distinct trend towards redevelopment by combining libraries to become Resource Centres, with separate departments and databases focusing on electronic information and digital technologies intent on getting more items online for users to access. The focus was definitely based on providing a high quality experience for students and academics through customer service officers rather than librarians. Cataloguing was completed by publishers as the Dewey system was considered to be inefficient and the printed material arrived ready to be shelved. It was also very apparent that funding was not a problem for the university and its redevelopment. I wasn’t overly impressed by the Melbourne University visit, which I considered to be too much information from three departments resulting in information overload. 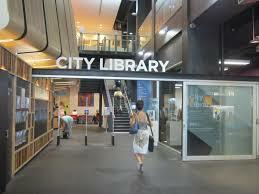 Also, the tour of the libraries was too short, with little time to experience each specific library environment. I would suggest being divided into groups and just visiting one library in the future, so students can experience the individual management of a specialised Library, eg. BioMedical Library. I appreciate that the University is projecting a 21st century approach to libraries as information resource centres but I considered the atmosphere of the library to be almost clinical and felt it too ‘business like’ in its efforts to become more consumer-driven by modelling its approach on that of the banks and Medicare. The Discovery Centre is mainly a research facility that assists with identifications, donations, and general enquiries from overseas and locally regarding History, Technology, Science and Indigenous Cultures. The librarians’ work closely with the Museum Curators and other libraries both locally and interstate to assist with research and information queries. I was interested to learn about the Centre’s excellent website with its popular Online Enquiries and varied links to other relevant websites or databases for the public and academic’s to utilise for research purposes. The staff encourages public interest and engagement by staging various exhibitions throughout the year. I had no idea the Discovery Centre existed even though I visit the Museum on a regular basis, and I was pleasantly surprised to discover such a different form of information and research facility, but with the same enthusiastic and motivated staff intent on providing the best resources and information possible for public and community interest and research, as other libraries I have visited. It is a totally different experience for students to enjoy and compare in regard to information services in Melbourne, and I would definitely recommend it as an alternative information service. on databases but there is a strong preference by Member’s to directly access books rather than use digital copies or research electronically. I was amazed to hear that there were many rare books and artefacts, art works and old documents lying in the basement unseen, and the Manager’s main priority is to access and display these historical items as part of her plan to allow more community access to the collection and bring the library into the 21st century! I enjoyed the rare opportunity to sit in the Member’s Lounge in Parliament House and experience the historical atmosphere and listen to the history of the library from the Library Manager, who was both enthusiastic and entertaining in her delivery! I was entranced by the beautiful décor and impressive book collection, but totally intrigued with the tall ladders that reached almost to the ceiling; a definite OHAS problem! I thought this visit was an excellent opportunity to experience another specialised library and learn how it is managed and utilised by an innovative Manager determined to display the collection to its full potential. environment, with a strong emphasis on community engagement and integration. The most impressive factor of the library was the availability to all of the public especially the homeless, where they have procedures in place to borrow and return books from those disadvantaged members of the city. There is a good balance between books/printed materials and electronic technology and digital resources. Staff move between the libraries on a roster basis, which allows them to experience the different library environments and broaden their knowledge of the various communities, besides developing new skills. I would take my children to this library due to its efficient use of space, colour, creativity, and the specific knowledge of the staff about its user’s needs, eg, game consoles, computers, community. Roving library staff address any information needs and there are user-friendly machines for the public to use when checking out books. The latest technology and databases are used for efficient collection and library management, and enthusiastic staff competently handle hundreds of users every day with. It is vibrant, engaging, with a positive energy, and I would highly recommend this library for further visits.